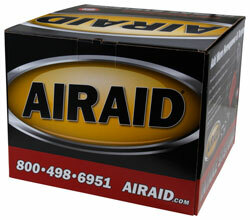 The AIRAID 401-239-1 fits some Ford F150, Ford F150 SVT Raptor, Ford F250 Super Duty, and Ford F350 Super Duty models. See vehicle applications for details. I gave this item only 4 stars because it came with the wrong screws and washers. I bought them at Lowes and installed this item. Very easy install, less than 15 minuets.Itis worth the money in the long run.